Friend, foe or flippin nuisance? We’ve all seen it… you go to your inbox and find you have to wade through a million newsletters and advertising emails to get to the ones that count. Ok, maybe not a million, but some days it REALLY feels like it. It’s all very well and good if you sign up for the odd update, but a constant bombardment only annoys… especially if you didn’t sign up for the updates and newsletters in the first place. I’ve had a few of these recently and they can be really quite annoying. Now, I have sent out newsletters in the past for an association I’m a member of, in fact I did it for five years, so I know a bit about them. There are things that can make sending newsletters easier and less likely to be binned, but of course you must have something to say in the first place. For instance, I don’t send out a Northern Editorial newsletter, because quite frankly no-one wants to know what I’ve been up to on a personal level, and I don’t discuss projects that I’m working on for clients. A newsletter every month highlighting my choice of coloured pen, lunchtime sandwich and the odd “how-to” would either send people to sleep or they’d just hit the spam button. However, if your business does have something to say, something to tell your clients and subscribers that they will really be interested in, then a newsletter can be a valuable business tool. Be relevant – only send updates if you have something to say. Think of your potential recipients…what do they want to know about, is your information relevant to them, will your information be useful? Don’t create a newsletter for the sake of it, remember people will have to willingly subscribe, make sure it’s something they want. Be considerate – don’t send newsletter after newsletter…send one a month, or if you are really popular one a week. Anything more than that will have them reaching for the spam flagger button (and you really, really don’t want that), or they just won’t read it. I constantly get update emails from record stores, fashion stores, magazines… the ones that sent daily have been deleted (or rather I’ve unsubscribed), the ones that send weekly get a quick look and are usually binned straight after, once a month and I read them to see what’s new. In these days of constant internet noise less is definitely more! Don’t spam friends and colleagues (or anyone at all) – don’t add them automatically…ask permission first. There is nothing more annoying than being added to an email subscription list without your knowledge, and it’s a popular thing for spammers to do (if it’s from someone you don’t know do you hit the spam button, just delete or go to the unsubscribe link? more on that later). Most newsletter creation sites, quite rightly, look badly upon spam and will suspend your account if you have a high spam rate or if they find out you are automatically adding people without their consent. Why run the risk and behave unprofessionally? If you have a newsletter, or are creating one, give your friends the chance to sign up if they want to. Send them a friendly email … “hey, I’m trying something new and I’d love it if you’d help me out by subscribing and giving me feedback” or “as a colleague I really value your input and feel it would be mutually beneficial if I could send it through to you”. Don’t just add them, it can make friends feel awkward and could turn out to be professional suicide. Engage your audience – once you’ve decided on a relevant newsletter to send out it can be difficult to keep up the momentum and not bombard the readership with the same old message. Yawn. Happily there are ways to engage your audience, while keeping your updates professional. Give readers a cool-off period – back to those spammers… spammers deal in our insecurity…if the newsletter is a spammy one, one we don’t know where it comes from, most of us won’t click on that unsubscribe link just in case something nefarious happens. We usually either delete or hit the “Spam” button. This gets relayed to your newsletter creation site and is flagged up (most have a strict anti-spam policy). Over a certain amount of spam reports you will get suspended. Don’t run the risk of being seen as a spammer. We’ve all subscribed to a newsletter, forgotten about it and then wondered what on earth it was when the newsletter came through a while later. If you can, when someone subscribes send out a “Welcome” email… just to let them know they’ve subscribed and will be receiving your monthly update. Include an unsubscribe link in case they have changed their mind or it was a “Friday night, drink-in-hand, this is a fabulous idea” subscription. Make it easy for them to leave – once someone decides they don’t want to read your newsletter any more make it easy for them to opt out. Newsletter creation software like Constant Contact and MailChimp make leaving very easy… there’s an unsubscribe button at the bottom of each newsletter, but if you are creating your own, make sure there is an easy, preferably one-click, opt out. Don’t take opt-outs personally… with all the best will in the world, at some point your readers will leave you, but hopefully others will take their place. By making it easy for them to leave it shows your professional integrity, and that you really care about your subscribers. 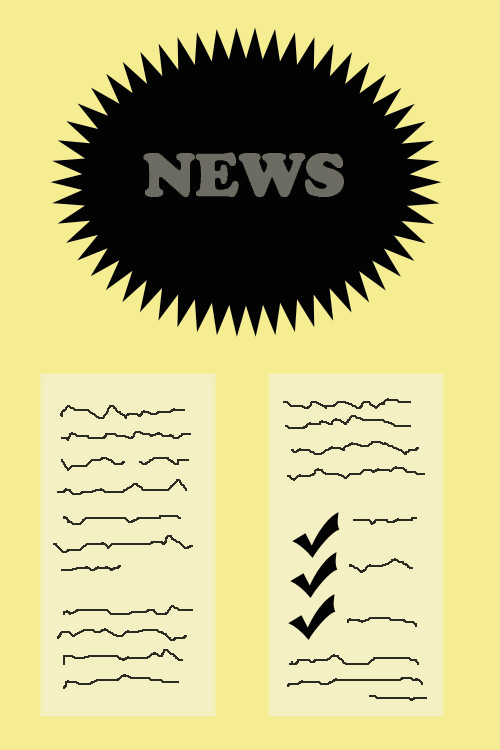 So there you are, a few tips for your newsletters and updates. Don’t worry, you won’t be getting any from me, but if you do want to keep up-to-date with my coloured pen preference or what I’m currently playing at when not editing or researching family history, you’ll find me over on twitter @NrthrnEditorial. Of course if you need to contact me for work just pop over to the contact form on the tab above.